I FINALLY found my password for my blog!!!! I just registered to have it sms'd to me next time that happens. Let's hope it never happens again anyway! I've been quite busy since my last post, I have a whole heap of this I want to post but will pace them out for now. This one is off to the ball! She is going into the doll show case in November that I mentioned in September, I'm still trying to work out how much to put on her, I was thinking $80? What do you think? 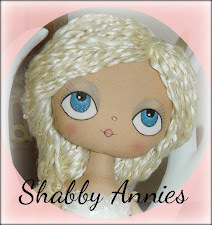 I had another doll that was to go into it as well, but she sold already - a lady saw her and just fell in love with her, and... well I'm not very good at saying no - so she has gone to a new home. I miss the girls when they are gone, might have to make one to keep soon!